Well it seems Monday 21st August is a total eclipse of the sun in the USA and a partial one in the UK/Europe so we thought for our August dinner we would host an end of the world dinner! The plan is to gather together like minded individuals who wish to celebrate what historically was sometimes seen as an omen or good portent for the future. It will take place on Saturday 19th August in our home venue (all will be revealed to diners once you have booked) Diners will be served some simple seasonal nibbles with a welcome drink on arrival and then as a first course we thought a simple salad of summer leaves along with a garnish of freshly grilled squid and king prawns in a garlic butter dressing. Next we will serve a Teriyaki marinated and baked fillet of fresh Salmon with a garnish of rice noodles and Chinese Pak Choi. A light summery dish that we hope will match the summer mood. 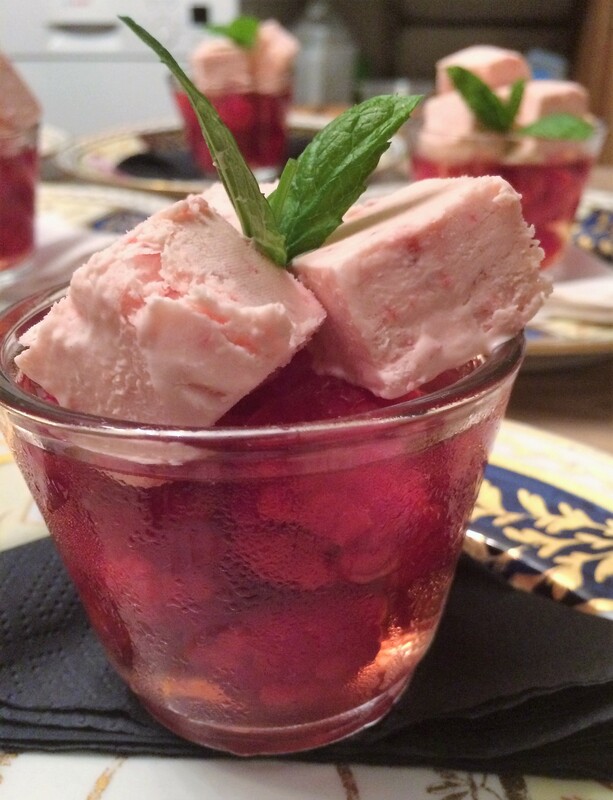 Finally the dessert this month will be a summer favourite – Jelly & Ice Cream but one with a bit of a twist. It will be made using our local Elderflower Vodka from Anno, local fresh raspberries and some homemade Strawberry Iced Parfait served with a warm homemade shortbread biscuit. We trust it will not be the end of the world after the upcoming eclipse but why not come along and enjoy a sunny supper with us… booking can be made via our booking site from Monday July 31st 9:00am so do not forget to set those clocks /alarms to make sure the end is not nigh! Cost: £10 Reservation Deposit via our Ticketing Site Here £15 Balance payable on the night (service not included) cash preferred.